The AMSP is pleased to announce new Core Maths Conferences, taking place over the Summer and Autumn during 2019. 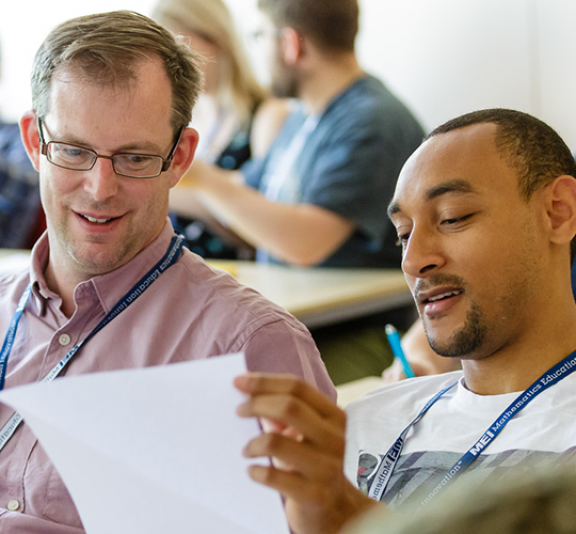 Exploring stimulating ways of introducing Core Maths topics to the classroom, these conferences offer professional development and networking opportunities for teachers with any level of Core Maths experience. They're also suitable for anyone who has attended an AMSP Core Maths conference in the past. You can tailor the conference to your needs; each event offers a variety of optional sessions led by Core Maths specialists. Each conference welcomes a keynote speaker and offers delegates the chance to try our new AMSP resources, which will be released for free during 2019/20. This conference is free to state-funded schools and colleges. Teachers working in AMSP Priority Areas qualify for a £250 subsidy. Please visit the AMSP subsidies page for more information.